Parkway Pointe-situated booze retailer has a 19,000-square-foot showroom, is first in the Atlanta-area. 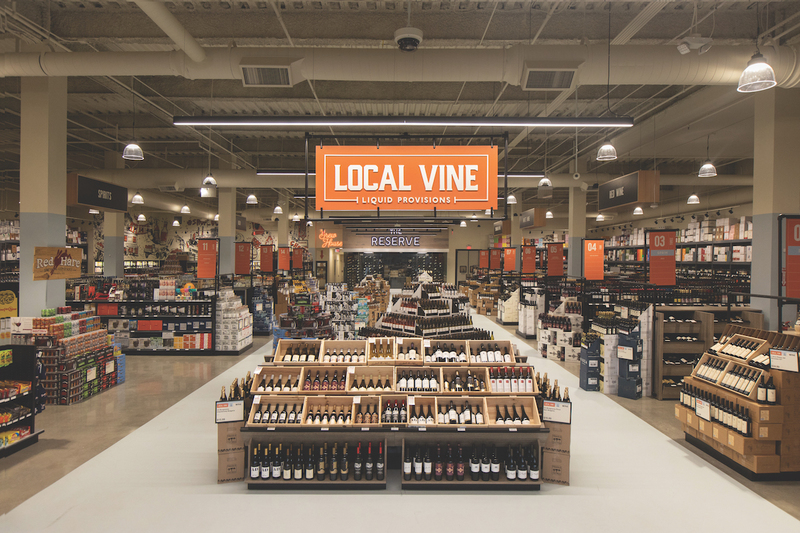 Local Vine, "an alternative to the old-school liquor store with the prices and selection of a beverage superstore," has opened its first Atlanta-area location. Situated in the Parkway Pointe development, at 3101 Cobb Parkway, Local Vine's 19,000-square-foot showroom offers a collection of more than 7,000 wines, 5,000 spirits, and 2,000 beers. “Local Vine is a destination where customers can taste and appreciate the essence of community and discover other local communities from around the world," Joe Haley, Local Vine's co-founder and CEO, said in a press release Tuesday. The store is anchored by its climate-controlled wine cellar named The Reserve containing "high-end and rare bottles." Local Vine's Brew House is "Atlanta’s largest beer cooler by the square foot." The retailer also offers accessories, cards, and gifts ranging from wine glasses to tools. There's also a selection of cigars from the United States, the Caribbean and Latin, America, housed in The Cigar Box near the checkout line. To celebrate its official debut Tuesday, September 25, the first 100 guests to arrive at the store between 5 p.m. and 8 p.m. will receive a swag bag filled with a $20 gift card, t-shirt and more, in addition to some in-store activations. string(38) "3101 Cobb Parkway SE Atlanta, GA 30339"
It's great when you put a google map of the place's location with the story.